Yesterday afternoon I received an e mail. I am writing to remind you that the trading team will be at the Trading Hut this Saturday and Sunday 10.30 to 12 noon for the second weekend of plant sales. We will be having a wide range of plants this weekend including tomatoes, peppers incl. chillies, herbs, vegetables, annual bedding plants, basket plants, geraniums and fuschias. We will be selling our normal stock from the hut plus there is a raffle. It might have been from the local garden centre, they always seem keen to sign customers up to a loyalty scheme or a mailing list for their monthly newsletter. 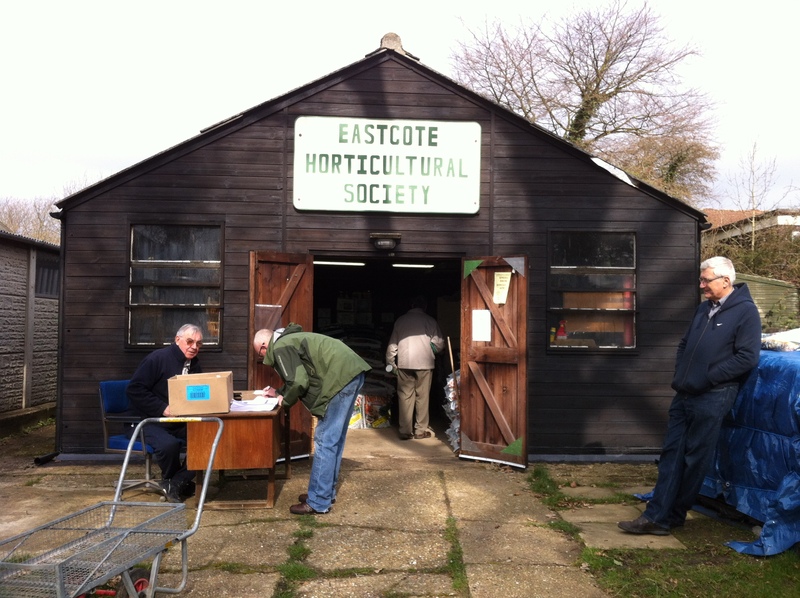 This however was from Eastcote Horticultural Society who run the Trading Hut just around the corner from Southbourne Gardens. Two things struck me, firstly how lucky we are to have such a resource so close to our site, in addition to the items listed it stocks everything you might possibly need in the pursuit of gardening as well as plentiful help and advice. Secondly having lived in Eastcote for nearly fifteen years why did I only became aware of it when I took over the plot. Wondering if horticultural societies have become a scarce commodity I googled, pages and pages appeared based all over the country and some dating back to the early nineteenth century. Ours seems fairly recent by comparison having been founded seventy years ago as a response to the introduction of food rationing and the subsequent scarcity of fresh fruit and vegetables. Although, clearly, that is no longer the case it is still well supported with some three hundred members at the last count. The atmosphere is always lively and if you’re lucky and the queue at the checkout is not too long you might even be offered a cup of coffee.